So what is the fastest car of 2018? The below infographic dives into the top 10 fastest vehicles on the road, have you seen any zoom past you on the freeway? Ever driven one yourself? Curious what kind of car your favorite celebrity drives? The below infographic will give some fun insight into how the biggest names in the world get around town, get the secret scoop below! Interested in learning more about how cars effect the environment? The below infographic offers a lot of interesting details and facts about the science behind emissions, a lot of things we had never heard before! 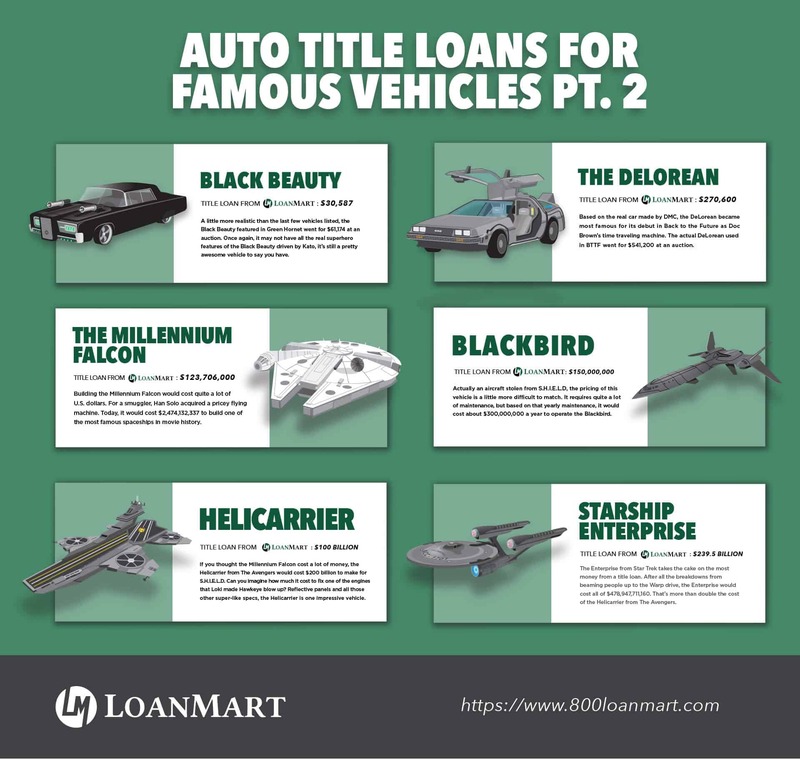 Below you’ll find part two of the auto title loans for famous vehicles, this time including cars like Black Beauty and The Millennium Falcon. Who wouldn’t want their own Han Solo-owned spaceship? Want to replicate one of your favorite famous vehicles? 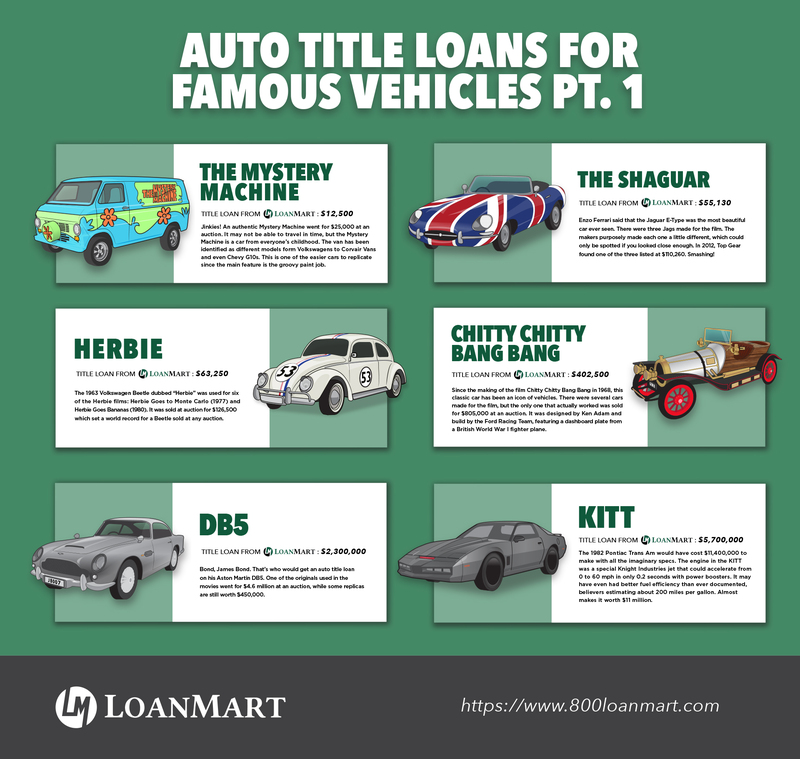 The below infographic details out the auto loan price for some famous cars like The Mystery Machine and Herbie, check it out below!